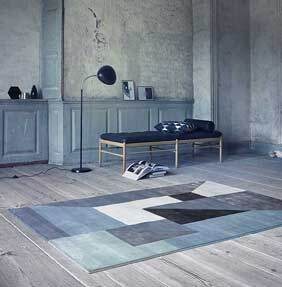 With roots in Scandinavian design tradition and a collaboration with talented Danish designers, Linie Design has developed a collection of stunning designer based rugs in elegant and exclusive patterns. Each rug is made carefully by hand from selected natural materials like wool, viscose and leather. Most rugs are handmade by skilful Indian weavers using traditional weaving techniques passed down from generation to generation. Linie develops a large variety of different styles, sizes and colours. The designers aim to bring style to a room but at the same time they want their rugs to create a relaxing atmosphere. As well as style and design, Linie only develops and weaves rugs with usability in mind, many of their rugs have been used in commercial applications and have given many years of use. Linie only uses adult labour, they work closely with local organisations in India, regularly monitoring production. As part of their operation in India they also finance the running of a school with 350 students.